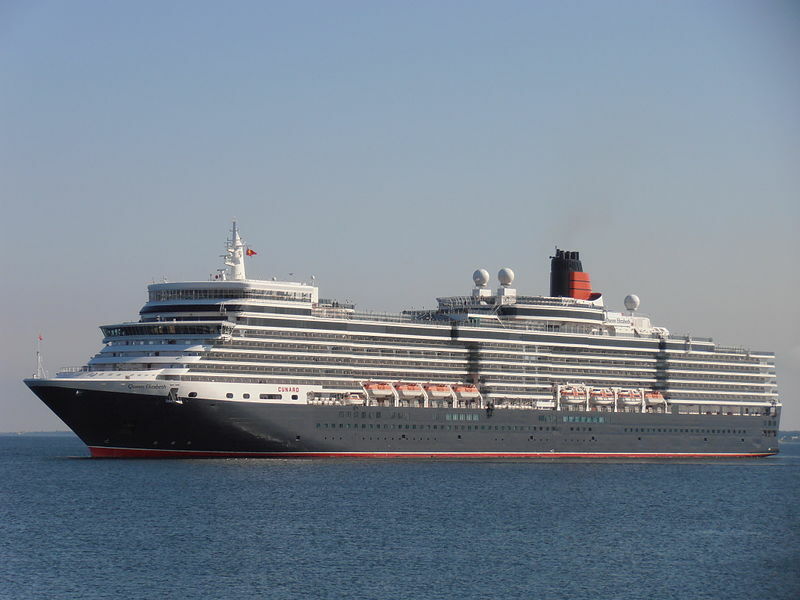 [Updated] The newest Cunard cruise ship, Bermuda-registered MS Queen Elizabeth, and sister ship MS Queen Victoria, will be the first official cruise ship visitors to the island in 2018, with both scheduled to arrive for a seven and a half hour stay on Sunday. “This is the inaugural visit for Queen Elizabeth. With almost 1900 passengers and a crew of 980, the luxury liner has just begun an 122-night world tour,” the Ministry said. “The ship left Southampton, England Sunday on its annual Around the World voyage, and will include transit through the Panama Canal and stops in many ports before a return to Southampton in May. “The full westbound circumnavigation voyage includes overnight stays in New York, San Francisco, Sydney, Hong Kong and Cape Town. It involves visits to 39 ports in 25 countries, including the maiden voyages to Bermuda and a handful of other destinations. “Launched in 2010, the ship will only be in port at Heritage Wharf in the West End from 8am to 3.30pm. “Queen Victoria will berth at King’s Wharf officially for the same period, although the two ships will be brought alongside, and taken out, about 20 minutes apart. “Passengers will have just a few hours to walk around, before they have to re-board at about 2pm for the mid-afternoon departures – Queen Elizabeth to New York and Queen Victoria to Fort Lauderdale. “Christened by HM Queen Elizabeth II after being built in Italy in 2010, the originally UK-flagged Queen Elizabeth, with more than a thousand luxury cabins, was refurbished in 2016. The BTA and Government previously announced that in 2018, Bermuda is expected to receive 180 cruise ship calls bringing approximately 470,000 passengers. “In 2018, the total projected economic impact of both visitor spending and government tax revenue is $84.8 million with $59.8 million estimated in visitor spending and $25 million in tax revenue,” a spokesperson said. This should be a treat for maritime photographers. How often do these two get into the same port, same time, so close? Will it be possible to tour one of the ships ? As the passengers enjoy their brief stay in Bermuda – and let’s hope the weather cooperates – we locals can enjoy the rare sight of these two magnificent ships docked at our shores! Hope Bermuda gives them a welcome that will be remembered in years to come. Would love to have a photo of the two Queen ships together in Bermuda. Did not the head line read two cruise ships canceled their stop due to bad weather? Well de lord made de weather bad because we still need reparations and ther could have been homosexuals on those boats.